With the high prices of soil amendments, it is important that everything you apply be useful. With the 360 Y-DROP™, you can apply nitrogen, phosphorus, potassium and other elements precisely at the base of the plant where it can be used. 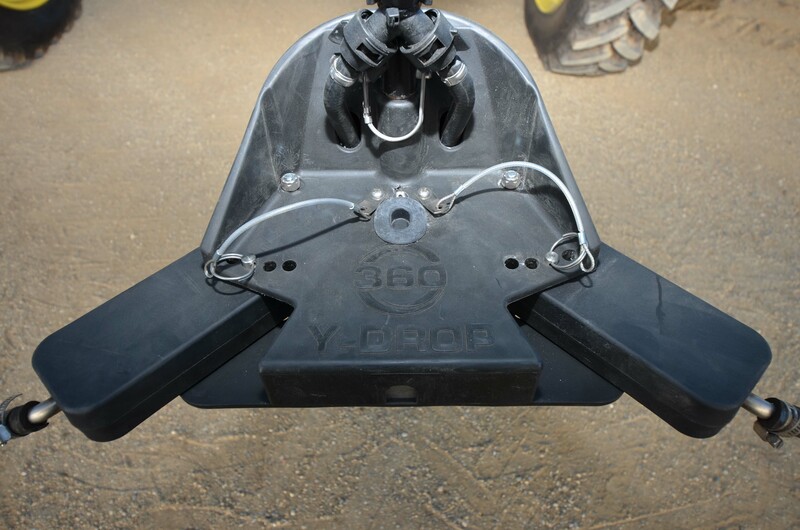 The 360 Y-DROP is adjustable to allow for 20-30 inch row spacing and is designed to glide carefully between the rows to avoid damage to the crops. 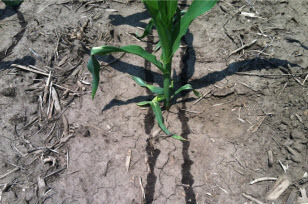 One of the single most important features of this system is that it allows you to apply nitrogen late in the season. The applicator attaches to long vertical bars so the main sprayer beam can pass over the top of the crop, but still apply at the soil level. Also, the 360 Y-DROP interfaces with most sprayers including: high-clearance, pull-behind, and self-propelled sprayers. *360 Yield Center reserves the right to change any product specification at any time.